Tatuaje has released some of the greatest cigars on the market over the past few years. So what happens when tobaccos from the best of those releases are combined to create the greatest cigar of them all? famed Sancti Spiritus wrapper, which surrounds a blend of fillers made famous in the Tatuaje Halloween releases. This is without a doubt a blend for the ages. The cigar is fierce and sleek just like the animal it represents. definitely a masterpiece from Pete Johnson and Tatuaje. 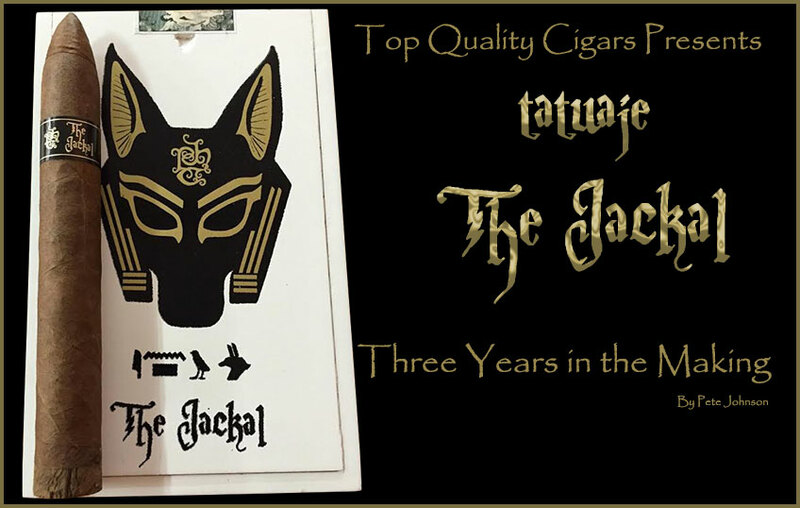 The Jackal is packaged in 10 count boxes with only 2000 boxes being brought to production.